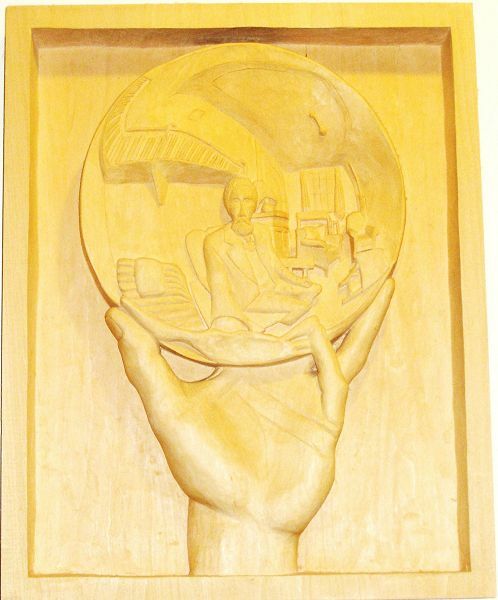 This woodcarving is based on Escher's lithograph "Man with Reflecting Sphere". It was shown in Raleigh Woodcarving festival 2007. Photo of the work was received from author.